Total Titans has a new home! Total Titans has a new location, folks! We’ve officially been launched on the Bloguin network as of today so hopefully, you will follow us to our new location as we continue to try to provide you the reader with original analysis/insight regarding your favorite football team: the Tennessee Titans. 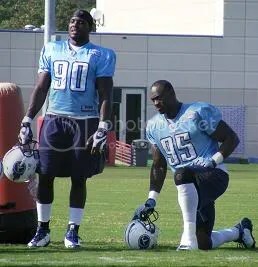 Similar to the subject of my most recent article (Tony Brown), the impending free agent status of fellow Titan defensive stalwart Stephen Tulloch is also in limbo due to the NFL’s situation with an expiring collective bargaining agreement. To make a long story short: New CBA= Tulloch is an unrestricted free agent, No CBA= Tulloch being a restricted free agent. Regardless of whether or not a new collective bargaining agreement will be reached by the beginning of March, in some shape or form, Tony Brown will be a free agent this offseason. Without a new CBA, Brown’s ability to test the free agency waters will be restricted. At the opposite end of the spectrum, TB will be an unrestricted free agent if the seemingly impossible occurs with the owners and the players’ union shaking hands on a new agreement. When will the Tennessee Titans show CJ the money? In a topsy-turvy season filled with high and lows, there was one constant for the Tennessee Titans in 2009: the dominating performance by Every Coach’s Dream a.k.a. Chris Johnson. CJ was a consistent ray of light as he trotted past the 2,000 yard rushing mark in ’09. 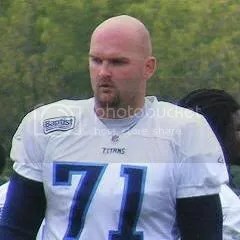 In only two seasons in the NFL, he’s been everything the Titans dreamed and envisioned when they shocked the world (outside of Frank Wycheck) by selecting him with pick #24 in the 2008 draft. With two years served in a modest $12 million rookie contract, CJ has hopes of becoming the league’s highest paid-back in the not-so-distant future. 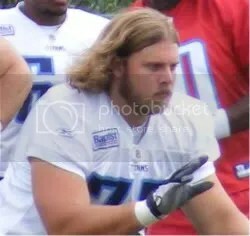 In preparation for his participation in last night’s Pro Bowl, veteran DE Kyle Vanden Bosch informed the media about his belief regarding his days as a Tennessee Titan coming to end. KVB, who will be an unrestricted free agent this offseason, has not been approached with an offer to stay and he’s preparing to extend his career in another NFL city in 2010. Tomorrow, Mobile, Alabama will play host to its annual all-star game that showcases the talents of college football’s best and brightest senior NFL draft prospects. The Senior Bowl is an excellent opportunity for NFL teams to get a head-start in the lengthy evaluation process that culminates with April’s NFL Draft.